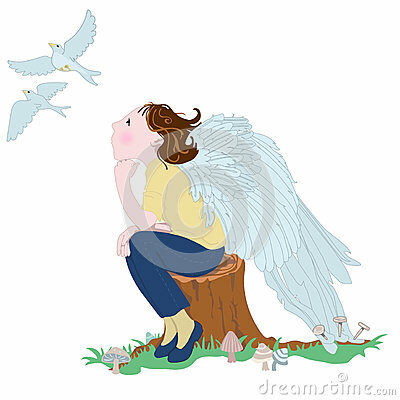 A woman gazes longingly at birds flying and wishes she could fly. She doesnât notice that she could break free, spread her wings and fly. Whimsical vector concept illustration in a simple style.